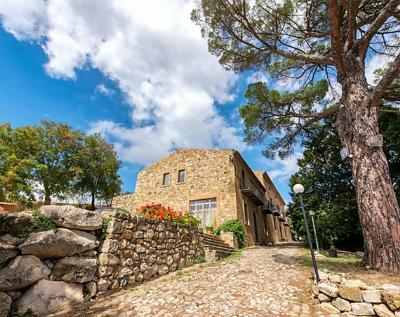 Lock in a great price for Casale Villa Rainò – rated 8.7 by recent guests! A true "slice of life"! Its like living in your own country home! The Innkeeper and wife welcome you as if you were family. Accommodations are simple but clean and the food represents the very best home cooking in the area. 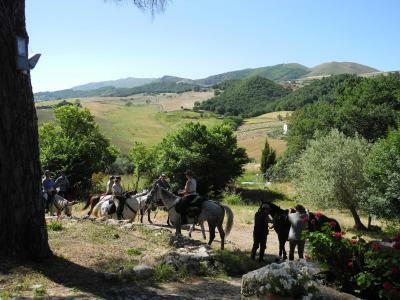 It is a splendid agriturismo experience to stay at Villa Rainò. The drive there is spectacular, through winding mountain roads, and the view from the property is unbeatable - the hill town of Gangi in the distance, sheep and goats in the foreground. 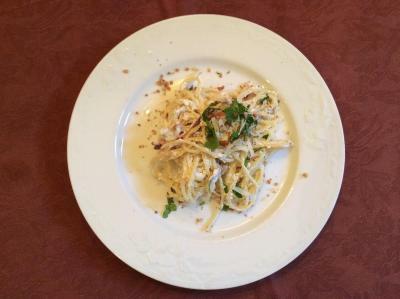 The food is a showcase of fresh, local ingredients, simply and beautifully prepared. The owner is a real character and he and his family were super helpful and friendly, welcoming us warmly. 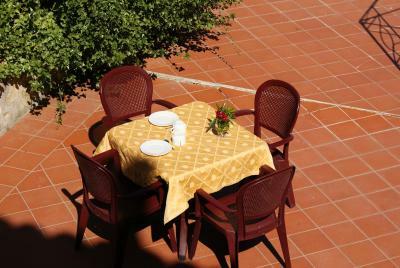 The agriturismo is quirky in its decoration - don’t expect modern decor but it is charming. The bathroom was adequate. There is a lovely pool and outdoor terrace with views but we were there on a cool evening! We were fed as if at a banquet to the point where we had to say ‘stop!’ The cuisine is rustic but very Sicilian and delicious. The owner regaled the dining room with Sicilian stories and it made for a really enjoyable and authentic experience. Thank you! 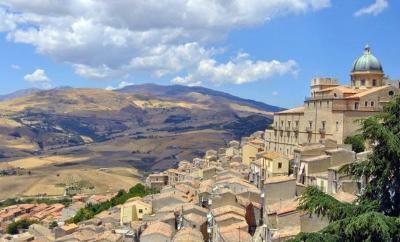 Gangi was fascinating and we instantly had to google the colourful history of the town, its inhabitants and the region. Beatiful view, nice clean room with aircondition. Very kind and welcoming owners. 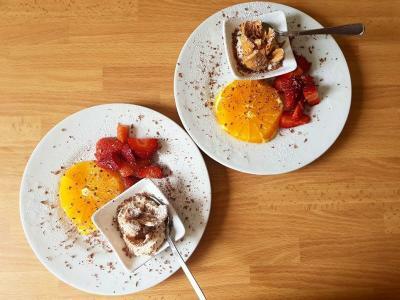 The breakfast and dinner was home made, very good quality of products. Quiet and relaxing area. Hosts were superb really welcoming and hospitable. 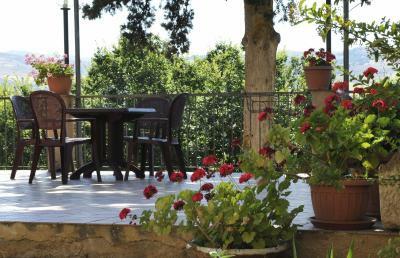 A characterful authentic Sicilian farmhouse With stunning views ina lovely safe and secure tranquil area. Lovely pool with great changing facilities sun beds and umbrellas. Good WiFi. Lovely substantial breakfast. Very large comfortable clean rooms. We are there one evening and the food was really good. Wonderful hospitality. Fantastic food. Such a relaxing, intimate place to stay - we had such a lovely time. Fantastic food! Really great stuff, although you need a bit knowledge of italian. The hotel is in the country - very lovely, but they also have a hotel in the town, so we changed to that one. Excellent. 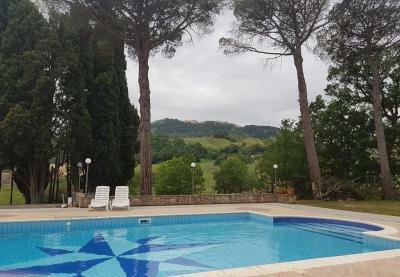 The location of this property could not be any more idyllic, and the town of Ganghi that can be seen on the drive to the property is easily accessible for a visit. The dinners are also excellent! 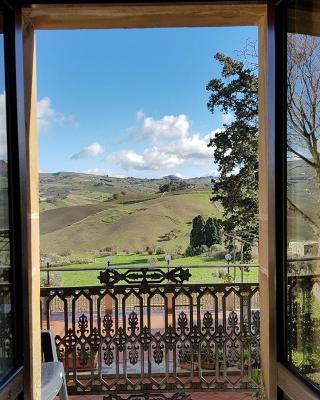 One of our top picks in Gangi.In quiet Sicilian countryside, Casale Villa Rainò offers an outdoor pool and panoramic views of Mount Etna and Parco delle Madonie. 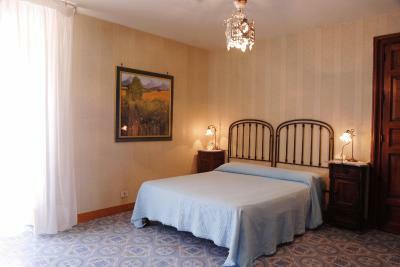 Villa Rainò has individually designed rooms with heating and private bathroom. Some have views of the valley. 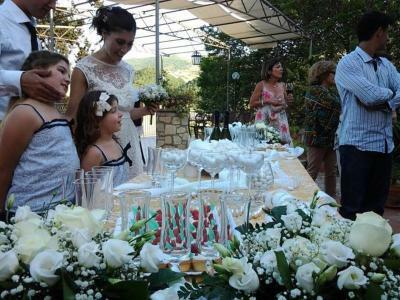 Rainò Villa is recommended by a number of guidebooks. 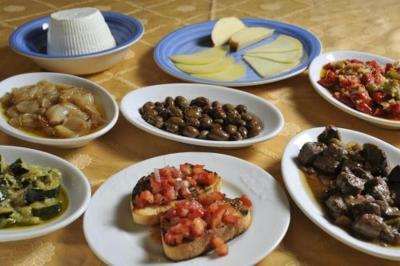 Its on-site restaurant serves traditional regional cuisine and specialties from Palermo province. Packed lunches are available upon request. 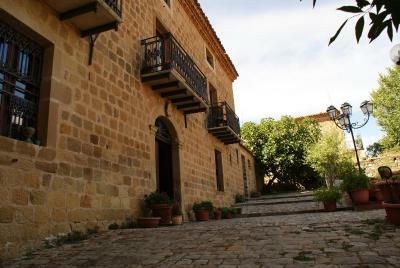 Trekking and nature paths surround the Villa. Free parking is available on site. 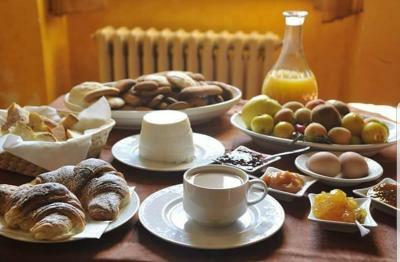 When would you like to stay at Casale Villa Rainò? Please specify when booking whether you would prefer a double or 2 twin beds. This triple room comes with 1 single bed and 1 large double bed. 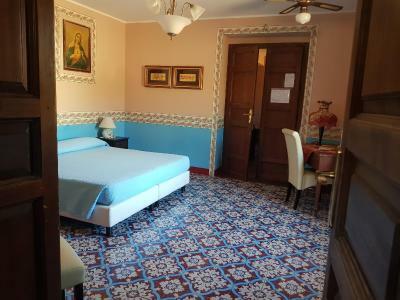 This spacious room offers a private bathroom with toiletries and a fan. House Rules Casale Villa Rainò takes special requests – add in the next step! Casale Villa Rainò accepts these cards and reserves the right to temporarily hold an amount prior to arrival. The meal was disappointing as was breakfast. Nescafe coffee in Sicily! The bread was the best! If only some guidance was given it could be a lovely place to stay. The bathroom was small, the shower tiny and a little bit scungy. Nothing it was all good. There could be better suggestion how to get to the farm, because google maps suggested a quite bad road through the countryside. Also because you can approach the farm from two directions. Bring your own towels for the pool. There is a 3 euro charge to use theirs. Very charming. We loved our stay. The family who runs it are very friendly and the dinner on their terass a treat. Down to earth and low key. Do not expect a fancy 5 star, but something local and real. We would greatly recommend this hotel. I was asked to check out of my room before the checkout time. Expect to pay 2 Euro for a bottle of water and a mistake was made on my bill for food albeit it was corrected after questioning it. There is no aircon, tea and coffee or a fridge in the room. It was so quiet, peaceful and tranquil which is exactly what I needed to escape the noise of Palermo. 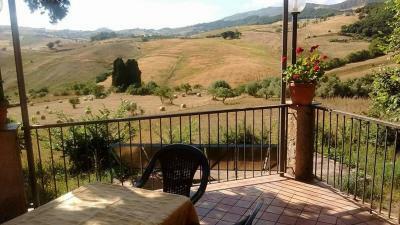 It had a fabulous terrace overlooking the agricultural lands. A fantastic swimming pool and had a great balcony from my room where I could smoke which I requested and was duly given. They arranged to pick me up and take me to my bus stop as well as a trip into the town of Gangi at a cost of 7 Euro a one way trip. 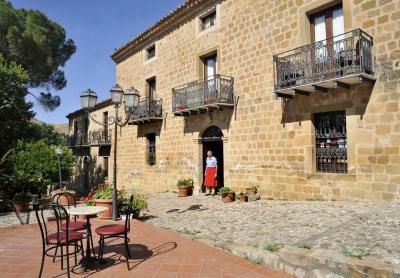 Gangi is the quaintest place and I hope more travellers visit this little gem of a place.